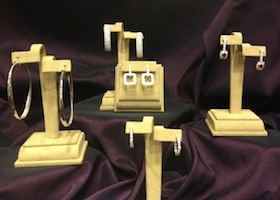 If you have ever considered getting your jewelry appraised, our experts at Smoke Tree Jewelers can help. Unfortunately, renters’ and homeowner’s insurance does not often cover the loss or theft of jewelry. If they do give you a sum, it is rarely near the jewelry’s worth, if anything at all! To ensure that the true value of your jewelry is covered, you will want to have an appraisal by a professional and have it insured under another policy through your insurance. Smoke Tree Jewelers is pleased to provide jewelry appraisal services for all of your most valuable pieces. We want to ensure that your precious gemstones and jewelry pieces are insured in case of theft or loss. Our experts are trained and certified when it comes to appraising jewelry, and will give you a fair and accurate price, so that you can be confident when seeking coverage through your insurance policy. Call us today to get started. Ensure that your valuables are properly protected with expert appraisal services from Smoke Tree Jewelers.